Here's another interesting bit about the potential reason behind hanging stockings on a mantle during the holidays. Apparently, villagers would buy mushrooms from the Shaman (the bringer of gifts) and further dry them in their hut near the fire (their fireplace). They would put them in their socks in order to dry them. 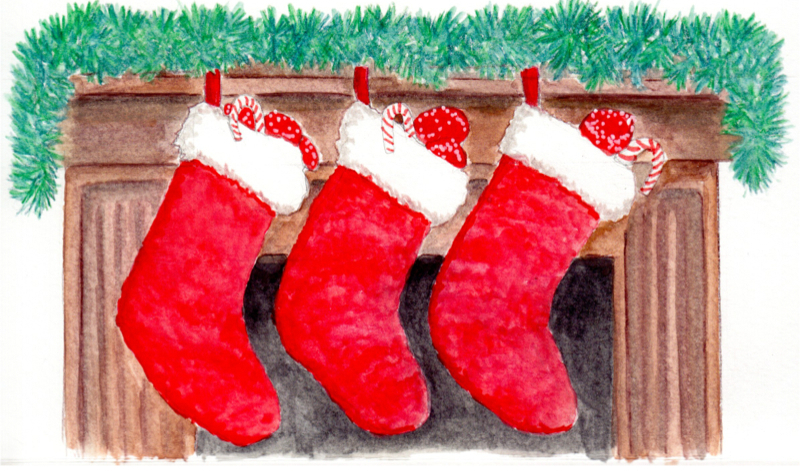 I imagine, native socks from Siberia would look like Christmas stockings.